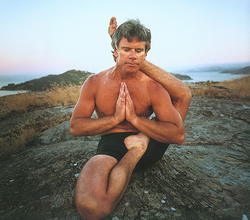 Tim Miller returns to Portland for a weekend-long immersion in Ashtanga. You may enroll in all or single sessions. ​Yoga on Yamhill is a donation-based studio. However, space is very limited and this event will sell out. Your enrollment will reserve your spot. There is metered on-street parking; you can also use Smart Park parking garages, which are very affordable. You may also want to catch the train or bike commute! All four light rail train lines run very close to the studio, and some stop in front.